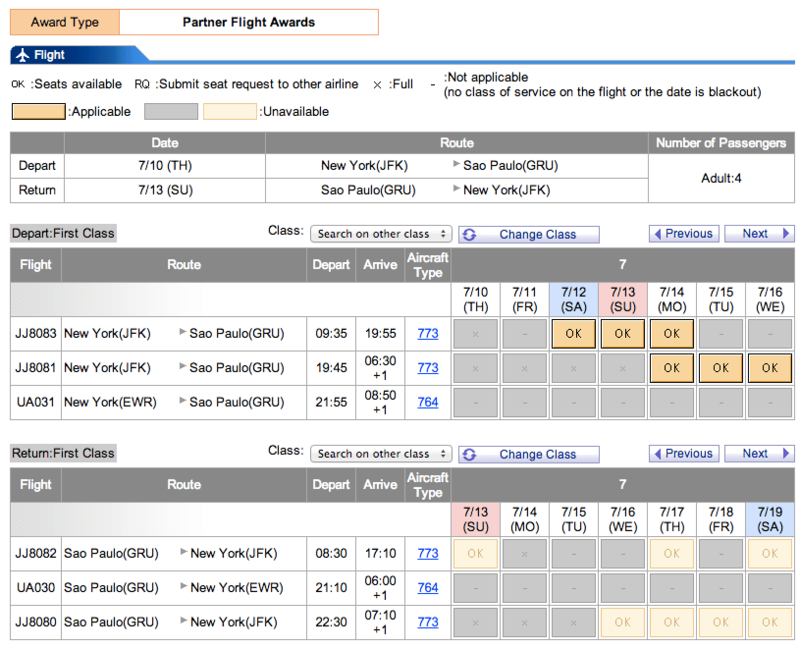 TAM First Class is probably the most unattainable product in First Class with miles, along with Transaero. While scarcity might not mean that the product is great (just look at Ben flying China Southern), space is absolute WIDE OPEN from JFK. 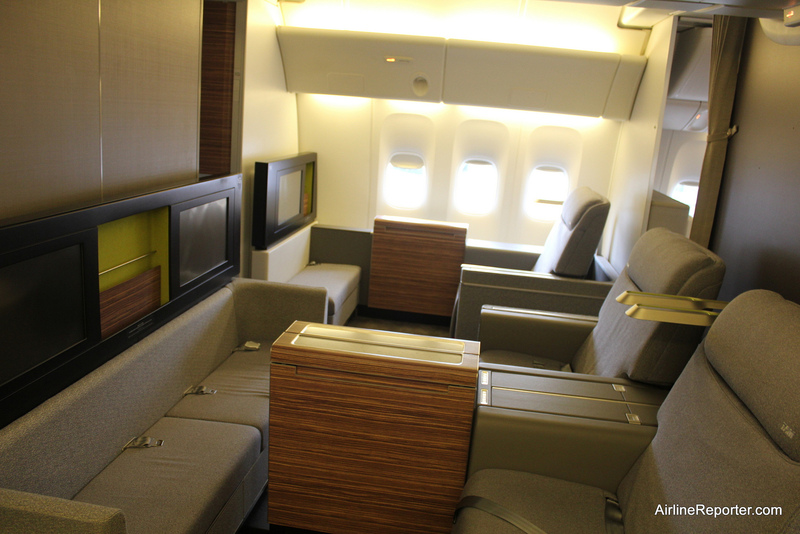 Fabio’s post from his blog this morning on Passegiero de Premiera says that he’s seeing first class award space available to partners. I can’t believe my eyes! 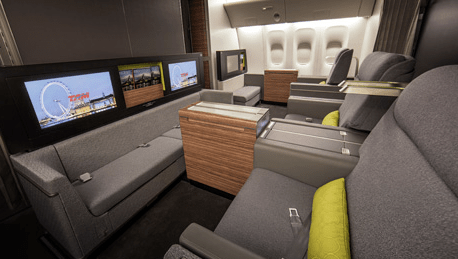 The entire cabin is bookable with miles. 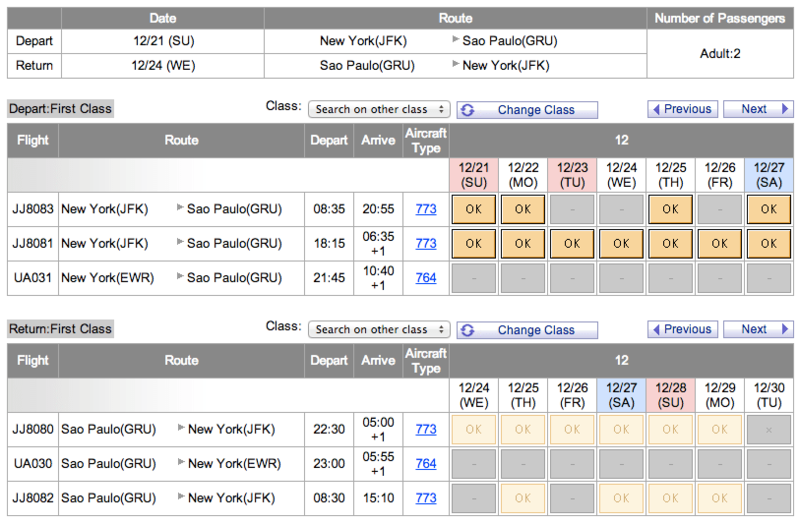 For what looks like the nicest way to get to Southern South America (aside from Korean Air’s fifth freedom LAX-GRU), this is an incredible deal. There’s at least two seats available over Christmas. It does seem like Miami had space earlier but it’s getting pulled, so if you do want to book I’d suggest heading for this as soon as possible. 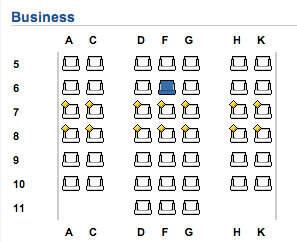 This space is bookable with United Miles, US Dividend Miles, American AAdvantage, and Aeroplan, all with no fuel surcharges!!! With United it’s 70k oneway (double roundtrip), Aeroplan 67.k oneway, 62.5k one way with American, and 125k with USDM roundtrip. Nothing to GIG. GRU only. 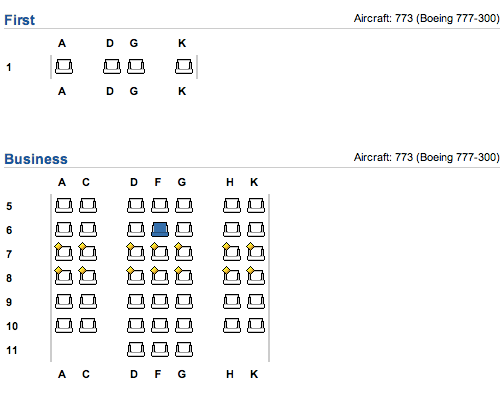 Booked F on AA. Thank you!! I found an actual picture of the cabin if anyone is curious. Marvelous opportunity. 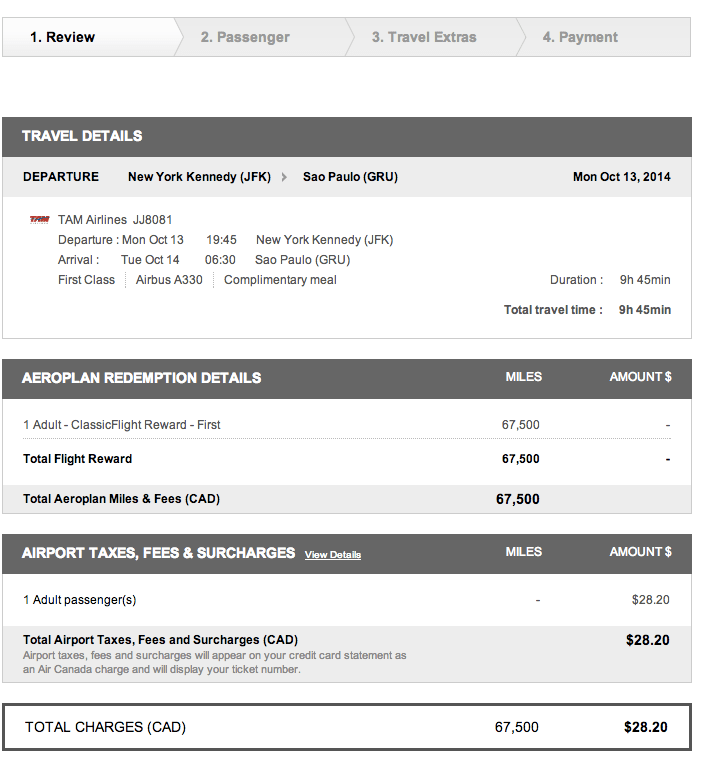 Last night I booked a pair of JFK>GRU 135k plus $100 in fees….and the very *first* choice of Nov dates was a hit. Such a deal. All award booking should be this easy!